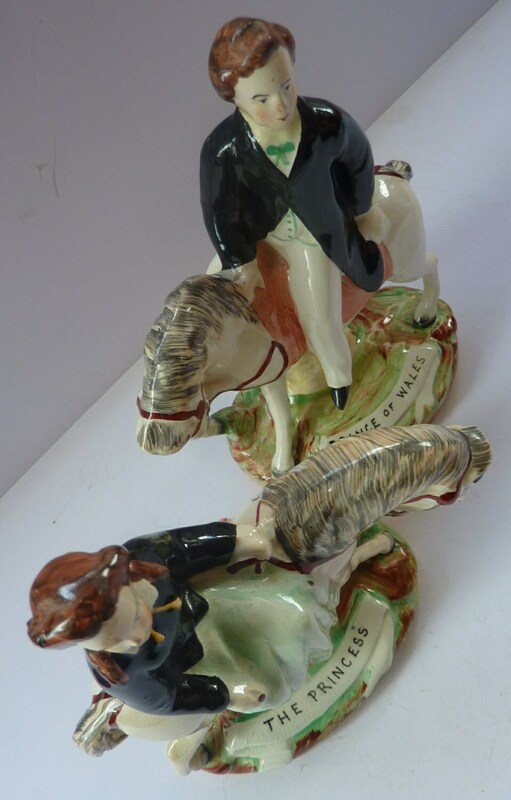 These must be the most adorable of Staffordshire figurines. 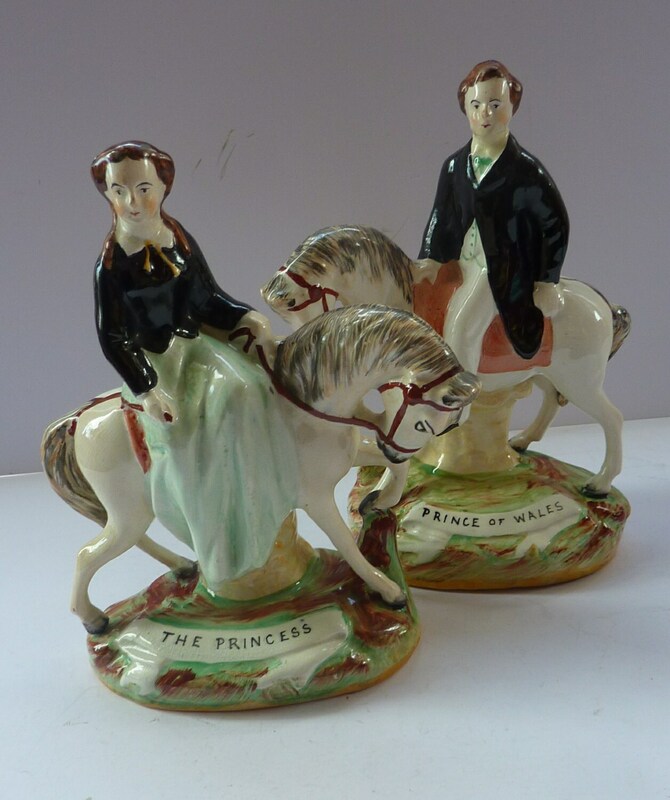 This is a pair which shows The Prince of Wales (later King Edward II) and one of the Royal Princesses out for a ride on horseback. They are fabulous items to pop on each end of a fireplace in a Victorian sitting room. As you can see in my photographs, they are certainly beautifully modelled. 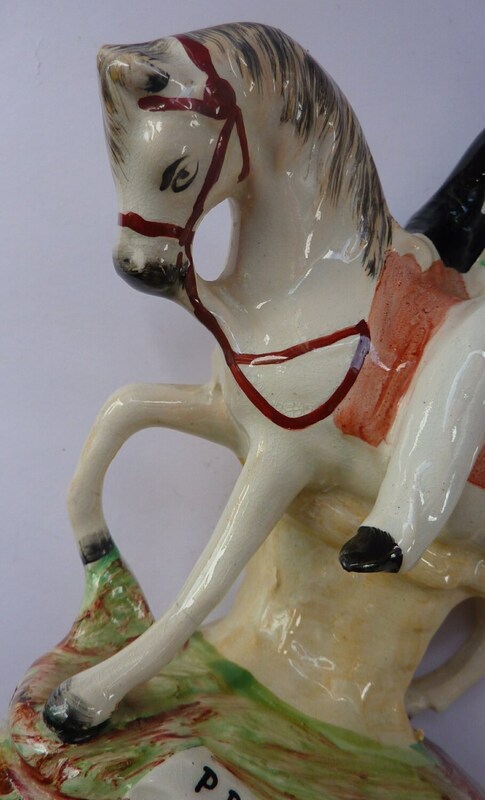 The horses legs are very fine - and I cant believe that this delicate pair has survived about 140 years with no damages. These are genuine antique examples - and certainly not reproductions. 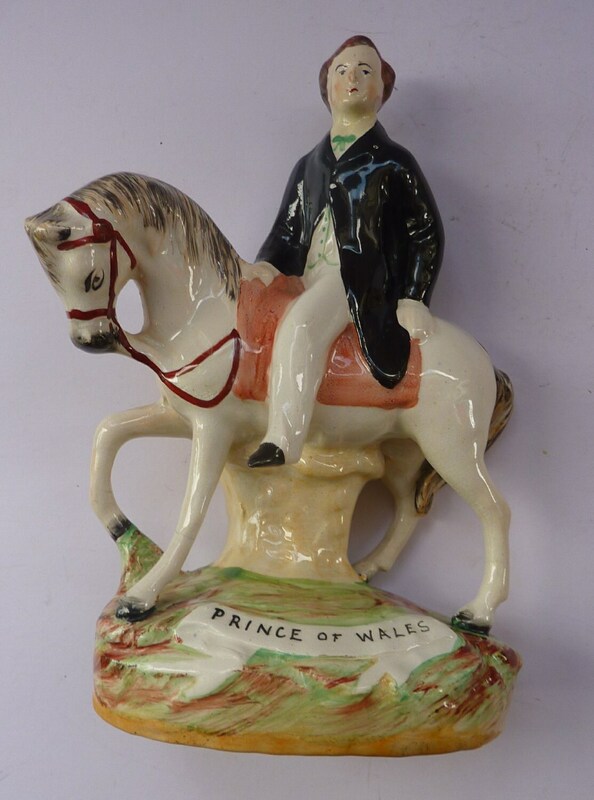 The Prince of Wales is just under 8 inches in height and has a width of about 5 1/2 inches. The Princess is also 8 inches in height - and has a width of 6 inches. It was difficult to capture all the fine details of this lovely pair in just five images - so more images can be sent on request. 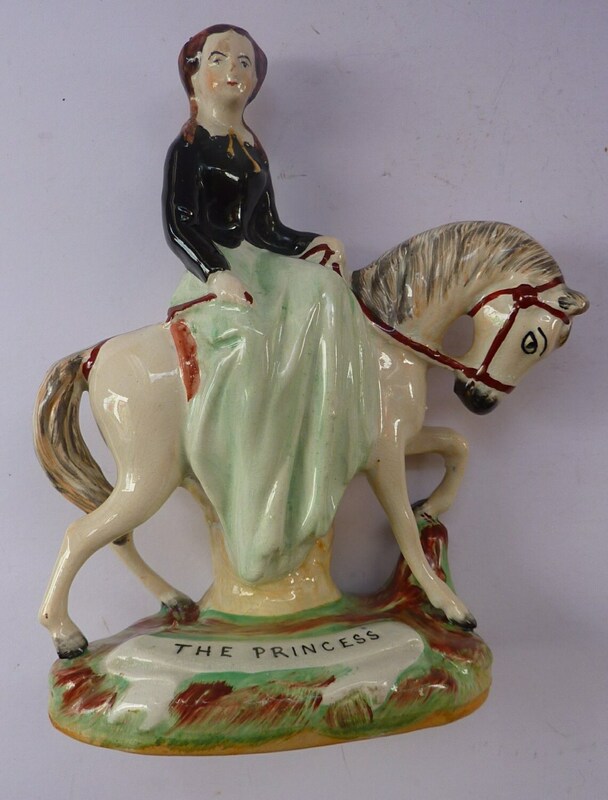 The figurines are in the most excellent antique condition - with no chips, cracks or any restoration. Just some little surface cracking to the glaze here and there - commensurate with age - and only to be expected on figures of this great age.